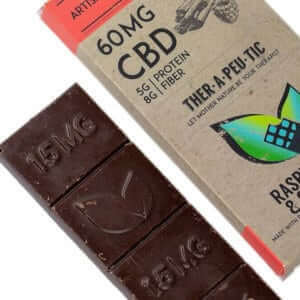 Therapeutic by both name and nature, this amazing CBD chocolate brand is quickly moving up in the world of cannabidiol. Combining calming CBD with mouthwatering artisan chocolate, Therapeutic Treats offers a tasty, terrific alternative to oils or supplements. Browse below to see for yourself. Founded in Atlanta, Georgia with a mission to enhance people’s lives through a natural, delicious, and therapeutic taste experience, Therapeutic Treats combines all the benefits of CBD with lip-smacking fruit and chocolate to create some of the tastiest CBD edibles around. The highest standards are adhered to throughout production, and everything is prepared in the safest way possible. You can be certain that when you unwrap the finished article, it will contain only the freshest, most natural ingredients. Therapeutic Treats is a compassionate brand built on the principles of education and inspiration. The founders strive to change attitudes towards CBD, help alleviate pain, and promote healthy healing. Their amazing chocolate is the first step in doing just that. 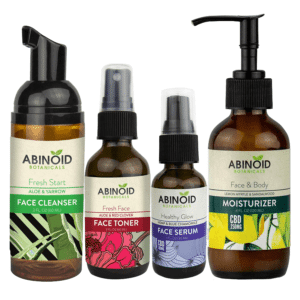 Why Choose Therapeutic Treats CBD Products? Therapeutic Treats is committed to quality and transparency. The CBD they use comes from organic hemp, and it’s carefully third-party lab-tested to check for heavy metals, herbicides, pesticides, bacteria, mycotoxins, and more. Likewise, the ingredients they use are certified non-GMO and organic, and their chocolate comes from the Ecuadorian rainforest. The result is the purest, most natural artisan chocolate with CBD available today. So, if you’re feeling stressed or unhappy, and you want to indulge in some comfort food, why not change it up and reach for a comfort superfood instead. Each piece of the Therapeutic Treats Cannabis Chocolate Bar boasts all the flavor of artisan chocolate, but with the added bonus of a potent concentration of CBD to soothe stress and pain. And the best bit? It comes delivered in a resealable package and breaks into four delicious servings, each containing 15 milligrams of CBD. Why Order Therapeutic Treats Online? The Therapeutic Treats CBD chocolate is high-quality, delicious, and all-natural. Buy why should you buy your next bar online? The answer is simple: with our carefully curated web shop, you can feel confident that you’re browsing the very best quality and selection of CBD edibles available today. And we’ve worked hard to make sure the entire process, from start to finish, is as straightforward as possible. Browse and buy from anywhere with Healthy Hemp Oil. Remember: If you’re pregnant, lactating, or suffering from a serious illness, ask your physician before taking any supplements or edibles, applying topical oils or lotions, or changing your diet in any significant way. Also, remember to keep your Therapeutic CBD products in a dry and cool place, out of the reach of children and pets. Here at Healthy Hemp Oil, our goal is to become the most consumer-friendly provider of CBD edible products available online. With that in mind, we remain committed to researching and sharing the latest objective information regarding CBD and its potential benefits. This painstaking attention to detail extends to our tried-and-tested selection of CBD edibles, such as the Therapeutic Treats cannabis chocolate bar. It’s important to us that you feel happy with your next CBD purchase, and if you’re ever unsure about anything related to CBD, our clued-up support staff are only ever a click away. Check out the Therapeutic Treats chocolate for sale, or get in touch if you have any questions.